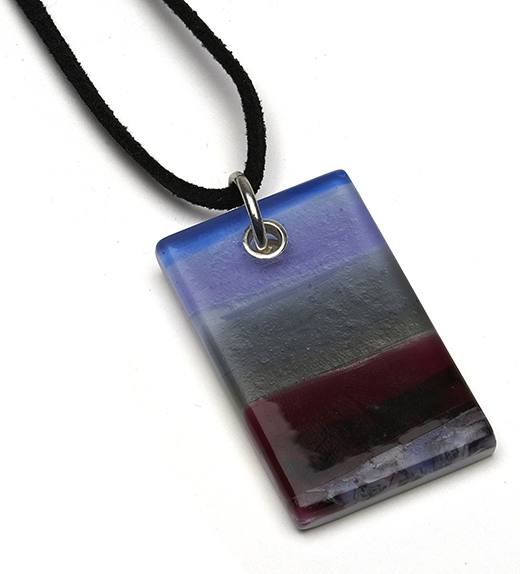 This pendant has deep blues, mauves and reds to form a beautiful evening seascape. The faux suede necklaces can be tied to any length. The pendant will arrive in a gift box. Please note that as all pendants are handmade, they may vary slightly depending on their position in the kiln, amount of glass used etc.